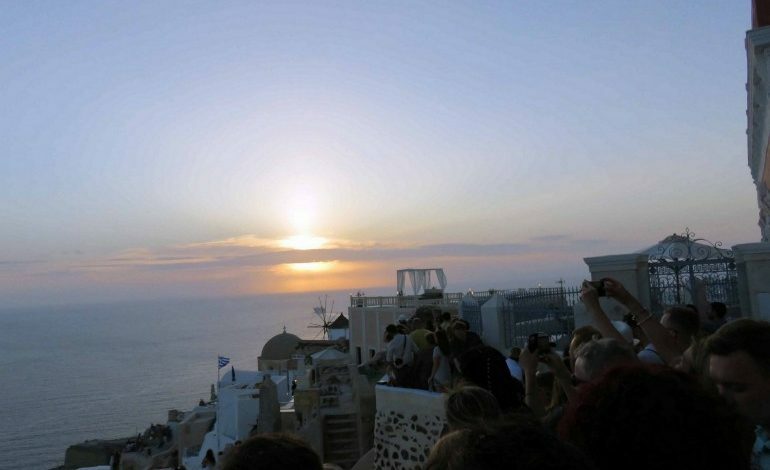 I saw one of the best sights in the world: sunset at Oia village in Santorini. What you hear is true. It is an unforgettable experience. My all-day program with Notos Travel, Santorini in late June with our guide Kaiti and driver Mercouri, left us off at Oia. Crowds were swarming like the New York City rush. I was warned by my friends in Tripoli, Peloponnese to avoid shopping. I went into the Panagia Platsani Church with the blue dome that is on postcards. Simple, elegant church, without excessive ornamentation. A woman volunteer was YELLING at tourists not to take pictures, inside or outside of church. WHAT IS UNSAID IS UNDERSTOOD. I told her in Greek that her behavior did not exhibit the finest in Greek hospitality. She was speechless, because I spoke Greek. I decided to find a place where tourists are welcome. “Welcome to Skiza Café,” said Eleonora, the waitress. Prices were reasonable. The staff’s pleasant smiles made my coffee frappe enjoyable. I walked outside to the main square where there must have been a thousand + tourists. Excitement everywhere to see a sunset on a cloudy day. Young and old were glued to the sunset. It was just like the internet images. Oia is an exceptional experience with extraordinary views of the Aegean Sea. Oia is a small village and former community in the South Aegean on the islands of Thira (Santorini) and Therasia, in the Cyclades, Greece. 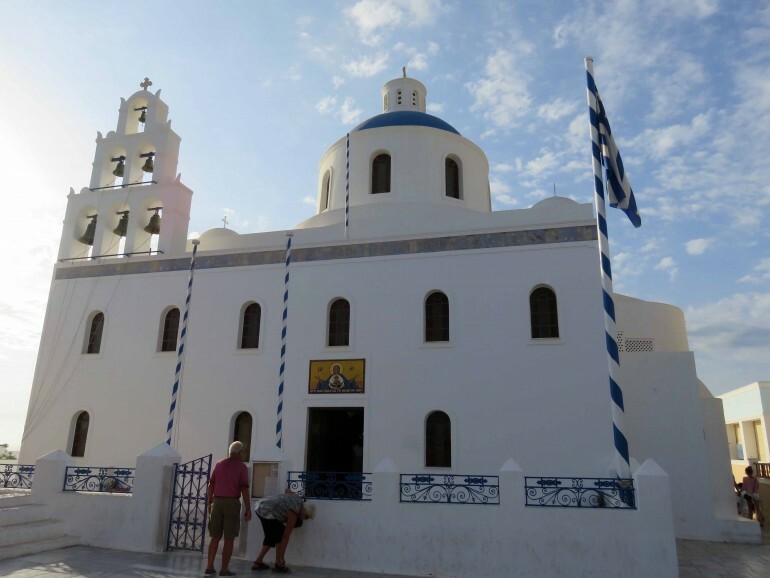 Since the 2011 local government reform it has been part of the municipality of Santorini. The main street is named Nikolaou Nomikou. The population was 1,545 inhabitants at the 2011 census. The Ancient Greek Oia was one of the two harbors of ancient Thera and was located in the southeast of the island, where Kamari is now. Oia reached the peak of prosperity in the late 19th and early 20th centuries. Its economic prosperity was based on its merchant fleet, which plied trade in the Eastern Mediterranean, especially from Alexandria to Russia. The two-story captains’ houses built on the highest part of the village are a reminder of the village’s former affluence. Part of the town was destroyed by the 1956 earthquake.Oia typifies the white-painted houses of the Cyclades, in many cases built directly into niches which are cave houses used by crew of the ships, on the lip of the volcanic crater, between which are narrow alleys and blue-roofed churches with cupolas. The wealthy ship captains of the late 19th century built neo-classical mansions. In 1976 the town was included in the programme for preservation and development of traditional settlements of the Greek National Tourism Organization under Aris Konstantinidis. 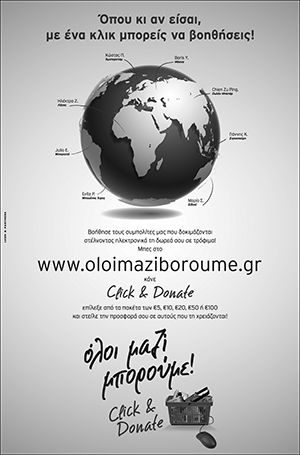 Over 15 years, the programme sought to preserve, restore and find new uses for selected houses and architectural ensembles representative of traditional Greek architecture. Many of the yposkafa spitia, simple seamen’s houses on the edge of the caldera, became guest-houses, hotels and restaurants. For their work in Oia, the Greek National Tourism Organization received the Europa Nostra Prize in 1979 and the Prize of the Architecture Biennale in Sofia in 1986.